Numerous targeted and unrestricted gifting opportunities allow businesses, organizations, and individuals the flexibility to meet charitable giving goals. Event sponsorships allow businesses and organizations exposure to a large audience through marketing, media, and attendee viewership. Perhaps preferred is a more subtle gifting plan, then direct “unrestricted” donations may be the right choice. Or if a more social gifting option preferred where the local community comes together enjoying El Dorado county’s bounty and beauty, then join us at the Fundraising Events below. Join El Dorado County Ag in the Classroom in August for 20 Mile Taste! 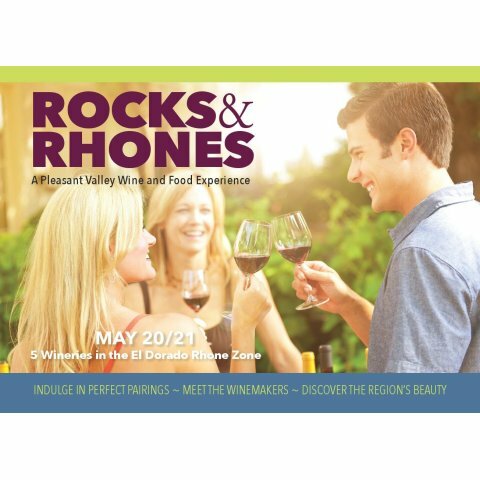 This spectacular event has sold out since its inception and is a celebration of El Dorado County’s bounty showcasing local produce prepared by local chefs and paired with local vintner’s wines. In addition to the locally sourced tastes the event will feature a raffle, live auction, and adult farm day fun. Ticket price include sample sized portions of food and drink pairing. If you can't attend a fundraising event, but would like to make a monetary donation to El Dorado Agriculture in the Classroom, please visit our donors section. Join El Dorado Winery Association at Passport Weekend and help to support El Dorado Ag in the Classroom activities. More information to come!